If You Own A Property That You Don't Live In And Need To Get Rid Of, We Can Help! We are expanding our portfolio and are currently looking to buy properties in your area. We can make you a fair CASH offer and can close quickly! 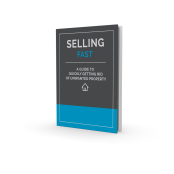 Enter your information on this page and we'll make you an offer and give you instant access to our new FREE report, "SELLING FAST: A Guide To Quickly Getting Rid Of Unwanted Property." We know that selling a property, especially one that you don't live in, isn't always easy. Our Residential Redevelopment company is currently looking for properties in your area and we are prepared to make you an offer right away. We'll also give you a FREE report, "SELLING FAST: A Guide To Quickly Getting Rid Of Unwanted Property" which will give you 7 easy tips for selling your property quickly in the event that we aren't able to buy it.